The latest issue of the ICAA's annual publication Classicist is now available to view online for free. 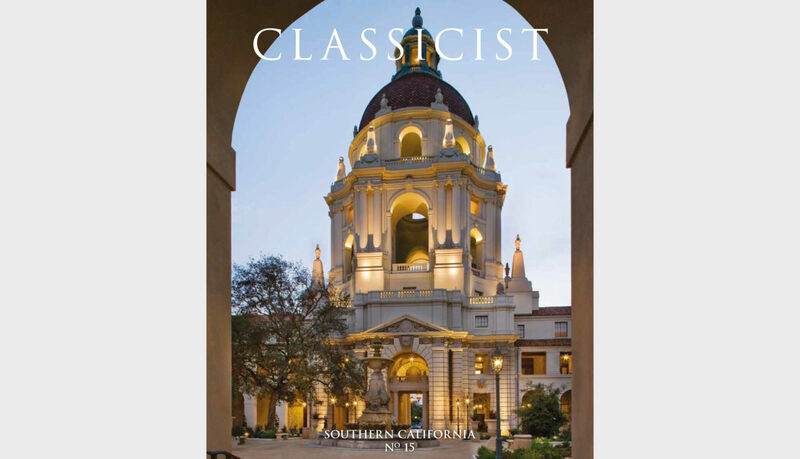 Focused on Southern California and guest edited by noted architect Marc Appleton, the Classicist No. 15 explores the region's rich architectural history as well as contemporary examples of classical design through professional and student portfolios, and academic articles authored by leaders within the field.